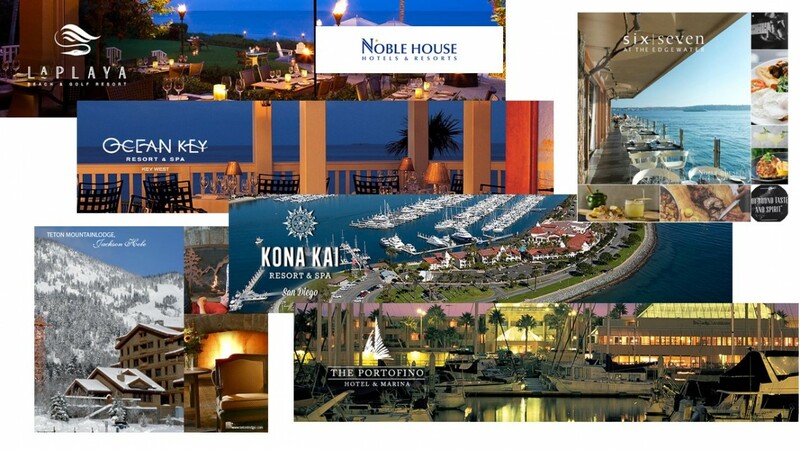 Herding Cats - Strategic Beverage Solutions Inc.
Noble House Hotels & Resorts, Ltd. is a fully integrated hotel ownership and management company overseeing a portfolio of some of the most prestigious resort and boutique hotel properties across North America. Noble House is unique not only in the quality and exceptionalism of their properties and teams, but also in their dual role as an owner and operator in most of those properties. We sat down with Chris Schaefer, Corporate Director of Restaurants Noble House Hotels & Resorts, and discussed his insights and experience working with Strategic Beverage Solutions over the last 4 years. Tell us the story of how you became involved with Strategic Beverage Solutions? Thomas Hass, our VP of F&B introduced our company to SBS. He had worked with Scott (their CEO) over the years and thought they had an interesting solution that would help our bottom line. Scott’s approach made sense to us. He would perform an Assessment at every property, giving our field teams the benefit of an independent third set of eyes looking at their operations. The feedback in every case was extremely valuable and well received. Scott ultimately has become our bar expert over the years given his extensive knowledge of the business and passion for driving performance improvement. In the course of those assessments if there was an improvement opportunity associated with taking an SBS solution next step, which had a solid ROI on it, we took it. In roughly 60% of our properties SBS is actively engaged in helping us maximize bar revenues and profits via their beverage control solution. What kind of results have you achieved via the SBS partnership? 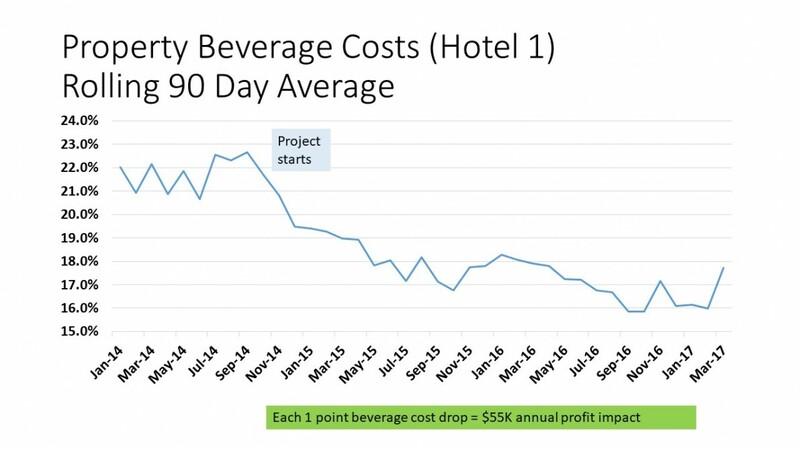 In our SBS Beverage Watch properties we tracked substantial bottom line improvement. 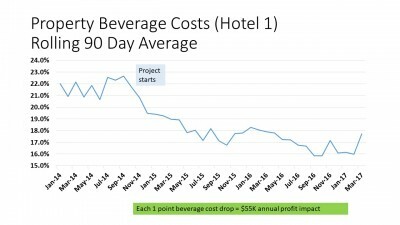 Beverage cost reductions ranged from 2 to 5 points. In some of our higher volume properties that benefit equated to hundreds of thousands of dollars of bottom line improvement. Another key benefit is revenue control. We were amazed how many drinks were being poured and not sold. 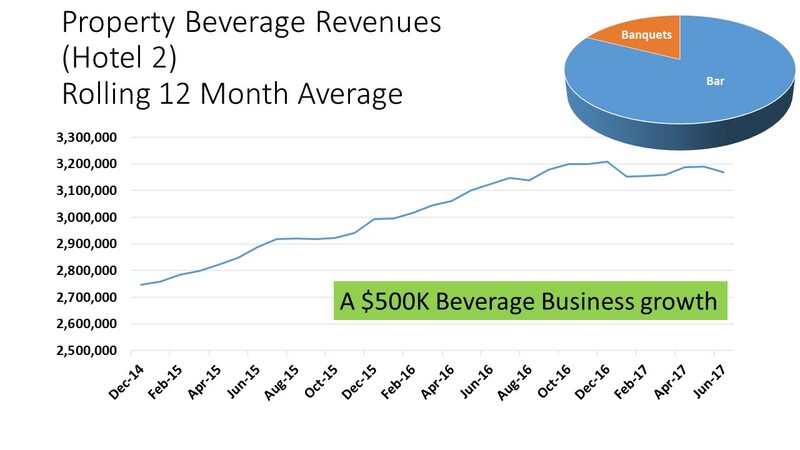 Beverage Watch spotlights and drives focus on making sure every drink poured is in fact sold. Achieving that objective also delivers tens of thousands of dollars of profit to the bottom line. Finally advice and feedback from SBS was pointed at evolving our bar product strategy. Our restaurants are world class destination choices for our hotel guests and locals who become regular customers. But there is a huge potential customer base who just want to hang out in the bar, and it’s not just hotel guests. In some locations we evolved venue layouts, menus, pricing strategy, service strategy and marketing strategy to go after this opportunity. In one project we have seen a 40% increase in bar F&B volume. What kinds of challenges did you have going after that ROI Result? We used to spend $1000 per month having someone spend a few hours in our venue and report on their experience. Now we spend less and are monitoring everyone’s experience. 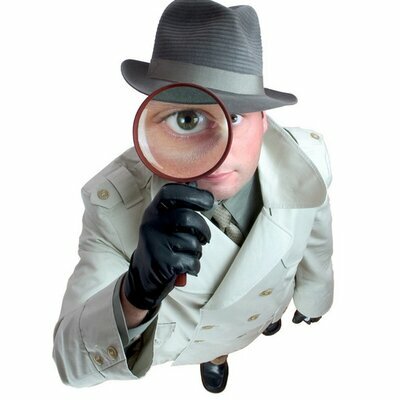 There probably is not an F&B Director or Bar Manager alive who would be happy to have a 24 hour a day secret shopper in their bar looking for moments when execution is not what it should be. And that effectively is what SBS is. Every drink we serve is potentially in the spotlight. We had to work hard in some situations to manage defensive orientations. We also had to coach managers on how to confront staff with the data. The conversation you have with a bartender who over poured some drinks, missed a few up charges and forgot to sell a couple of drinks is a little different than the one you have with a police officer who pulls you over for speeding. The data is the same – it happened, but in our culture we want to help folks get better. There is fine line between motivating someone to focus harder on an issue, versus condemning them because of what happened. What surprised you along the way in the SBS project? Obviously SBS makes their money selling and supporting beverage control tools. But they truly are passionate bar performance improvement specialists. Most of my conversations with Scott are about changes we need to execute in a bar that have nothing to do with his system. Our CFO views Scott as someone who is transforming our bar business philosophy. Where we used to view the bar as a pre and post dinner staging area for our highly successful destination restaurant operations, he has brought us to understand that the bar itself can be the destination choice of the hotel guest and non hotel guests for a two to three hour extended hangout visit. And that customer is hugely profitable for us. How would you describe your working relationship with SBS from a corporate perspective? Anytime we add a property to our portfolio we are going to get them involved from an Assessment perspective and if the bar has the appropriate fit, implement their Beverage Watch tool. We often go with their subscription model which means we pay for the system on a quarterly basis which means there is no long term commitment to the system. This works best in some property situations. In other situations we purchase the system outright. SBS has a very flexible business model that allows us to purchase in the right way for each situation. 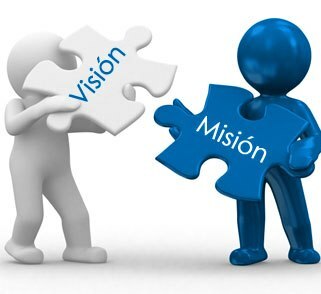 Another key situation we face is management transition which is typical for the industry. Every time it happens someone new walks in the door with no awareness of the success history of the project and often with all the same anxieties we see when we first install the tool. SBS proactively engages to orient and create the working relationship at the property level on their own in those moments. Sometimes Scott will reach out when we run into the “defensive” orientation relative to the data and tool, and a key role I have is to bridge those situations over to the right perspective and confidence in the program. Is Your Hotel Bar Under Performing?